In our last article "5 Reasons Your Competitors SMASH Their B2B Sales Targets While You Struggle", we covered five important sales tips that top reps use to consistently achieve their B2B sales targets. One of those points focuses on the importance of adding huge value to your customers. Being able to provide true value is an often overlooked or misunderstood part of the sales cycle however, it's absolutely vital to get right. With so many players in the market, every company and/or sales professional must find a way to make their offering stand out. This occurs naturally when a company truly identifies the value that their product or service adds to the lives of their buyers. Companies are under more pressure than ever to include huge value with their offerings. Value sells, features and benefits come later. 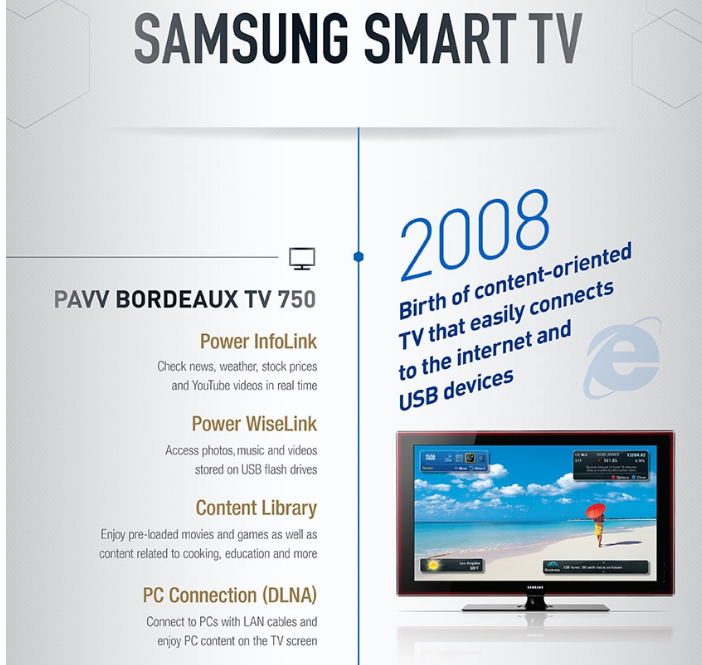 In 2008 Samsung set out on a mission to shake up the TV sales industry and align their products with a major shift in the way that consumers were now interacting with media content. The rise in the on-demand generation threatened the very existence of TV sales, with consumers - especially those of a younger generation - turning to laptops and smart phones to access their content. Instead of simply offering their customers a TV, Samsung developed a revolutionary system whereby multiple devices could be connected and played through the system. They also identified a significant shift in the way consumers were accessing media and therefore included an app store where services like Netflix could be downloaded. Without a huge jump in the cost of one of these sets, Samsung added immense value that other manufacturers simply weren't offering. The emergence of film and video streaming sites such as Netflix and YouTube drastically shifted the way people interacted with their television. The younger generation even started ditching TV in favour of watching their favourite on-demand services on mobile devices or Laptop/Desktop computers. The issue was that TV on demand requires an internet connection, which in turn typically required a phone or laptop. Samsung knew that these devices, while convenient, didn't provide the same experience as sitting infront of one of their products. By incorporating new this new tech into their products to meet demand from the Media 'on-demand' generation, without adding a huge price hike to the consumer, they added huge value to the end user. The most interesting aspect of adding value is the fact that is forces a company to use emotion. You cannot add value without having some kind of understanding of, connection with and empathy for your customers. Companies have to know their customers inside and out and build healthy relationships with their buyers if they are to be able to keep up with rapidly changing trends. You see this in action today, with more effort being put into customer service operations especially after a customer has bought a product or service. Let's now take a look at how your company can ensure that you're offering amazing value to your customers. One of the most common mistakes that companies and sales reps make when selling to a prospect is getting stuck on highlighting the features of their product/service. While highlighting features and benefits are obviously an important part of the sales process, it's the selling the dream that earns you the business. What do we mean by 'selling the dream'? When you set out to start a company, the first thing you do is identify a need; a problem; a gap in the market place. You then create a product or service that alleviates that problem or provides that need. The world without that problem is the the dream and your job is to sell it. This is something Steve Jobs excelled at. When he introduced the first iPhone, he sold us a world where one touch could make the difference. I'm now going to use parts of Jobs' speech on launch day to illustrate the point of selling the dream. Jobs first introduced the phone by talking about its features stating that it is: "a revolutionary mobile phone, a widescreen iPod with touch controls, and a breakthrough Internet communications device with desktop-class email, Web browsing, searching and maps"
"....And uh they typically combine a phone plus some e-mail capability, plus they say it’s the Internet. It’s sort of the baby Internet, into one device, and they all have these plastic little keyboards on them. And the problem is that they’re not so smart and they’re not so easy to use, so if you kinda make a… Business School 101 graph of the smart axis and the easy-to-use axis, phones, regular cell phones are kinda right there, they’re not so smart, and they’re – you know – not so easy to use." "Well, we don’t wanna do either one of these things. What we wanna do is make a leapfrog product that is way smarter than any mobile device has ever been, and super-easy to use." Simple. It was an idea so far-fetched that many people wrote him off when he initially introduced the concept. What you should also notice is that Jobs went so far beyond the call of duty where customers are concerned and gave them a dream they didn't even know they wanted. Now, Apple has a strong grip on the market. Simply because Jobs sold the whole world a dream that they bought into. So essentially, selling the dream is about introducing your customers to the bigger picture that they may not see and using that as added value. How does your product fit into your prospects' bigger picture, that is, their lives? How can it improve it? How would their lives be different without your product? How much revenue can they make using your product? This gets you thinking about your prospects rather than your business' bottom line and starts the process of building value (a topic which will be discussed in another article) also. Customer service is defined as the act of taking care of your customers needs by providing and delivering professional, helpful, high quality service and assistance before, during, and after the customer's requirements are met. It is an often overlooked and undervalued part of the sales cycle. However, it begins before the sales process does. Does someone need to have paid for a service/product to be deemed a customer? No, as you already know, the sales process is a process of transitioning through the sales funnel. Understanding how you can provide excellent customer service before someone is converted to a prospect is the type of activity that separates the wheat from the chaff. It shouldn't be assumed that customer service is only about the customer interacting with your service or product. Customer service should be about anticipating the needs of customers. Listening to what they need and providing answers to them. On social media, you have a listening device with which you can interact with potential customers. The most amazing thing about social media platforms is that it allows companies to show their personality. It also gives customers the ability to interact with the company before deciding whether to buy. Ask leading questions with relevant hashtags and interact with those who respond. This in particular, allows you to build value and also a good relationship with potential customers before they decide to interact with your product or service. By making a habit of this action you increase your chances of converting some of these prospects into buyers. I don't mean asking for their mobile number and messaging on whatsapp, here. When I refer to instant messaging, I am referring to a service made available on your website, which allows prospects navigating your website to communicate with you - instantly. CommissionCrowd utilise this functionality quite well using a messaging service called Intercom (seen above). Using Intercom, CommissionCrowd are able to communicate with current website visitors instantly - answering questions and providing help. This helps to build the value and a relationship between our team and our prospects. If anything, it can help move prospects through the funnel faster. There is never too much details for customers but it can get complicated to digest sometimes. This is where being on hand to answer questions and give advice comes in. This practice sets a precedent between you and that prospect. It tells them that you take their needs seriously and will provide them with the support they require when they require it. Everyone loves the idea of having a personal assistant or someone who takes care of certain aspects of their daily life. It adds value to their lives and allows them to focus on other things knowing that this other aspect has been taken care of. I'll give you an example of dedicated personnel in action. A few months ago, I was scrolling facebook and an ad appeared for a clothing site called 'Thread'. Their slogan was "Let one of our stylists help you find clothes you'll love. All online and completely free", Amazing right? I mean, I've always wanted a personal shopper who could pick out clothes for me because I hate (emphasis on 'hate') shopping. However, here I am presented with a solution to my issue. I signed up and was assigned a stylist named Freddie. I was asked to give them an outline of the styles that I like and the colours I would prefer. After this, Freddie emailed me to let me know that he has received my style preferences and will get back to me in a couple or days. True to his word, Freddie emailed me on the Friday (two days later) with five fully personalised outfits based on my preferences. He even gives me the opportunity to like or dislike any of his suggestions and suggest other styles. Now, every Friday I anticipate that email because Freddie seems to know my style better than I know my style and for that, my life is so much easier. If I like what I see I can buy the whole outfit or part of the outfit in one click. Sometimes customer service is the service. Sometimes it is strong enough to move people into buying from a company. The value Freddie has added to my life and my wardrobe cannot be understated. So providing your prospects with dedicated personnel has endless merits. Imagine having someone who knows the relevant aspects of your business inside out. Imagine if your mobile network provider could assign you a personal advisor who takes care of all your affairs. How much money would you save on calls after being put on hold by this advisor and that advisor? Assigned personnel will be able to help your prospects through the sales process but most importantly they help to develop trust between the prospect and your company. Webinars have multiple uses as educational tools. They can be used as a tool for building value or a tool for adding value. Let's focus on how webinars can be used to add value during the sales process. As you know, having a prospect inside your funnel does not guarantee that they will leave the funnel via the exit you have waiting for them. A person can leave you sales funnel at any point and it is really up to use your resourcefulness to keep them engaged. Webinars can help to achieve this. When you use webinars to build value, you are pulling people to you, increase traffic and sign ups. When you use a webinar in the middle of your sales process you should have an idea of what their pain points are. Your webinars, then, should be designed to show your prospects how your service or product helps to alleviate their pain points. Be creative about how you go about sharing testimonials. Ask a client to take part in a webinar and advocate on your behalf. That's not it, don't hold the webinar in a predictable location like your offices, travel to your client if possible and try to get them to showcase your service/product in action at their office. It makes for compelling viewing! The idea here is that peers trust peers. Your current clients were in the same position your current prospects currently find themselves in. So who is more qualified to convince your prospects and qualify the effectiveness of your offering? The type of support you provide your customers depends on the product or service there are a variety of methods of providing this service. Just because a customer has bought something from you and concluded the sales process, it does not mean that you discard them. In fact, You should be working even harder to retain them than you did to acquire them. It is up to you to decide which methods your, now paying, clients the best value. Here are a few ways you can add value after the sales process has been successfully concluded. If you are selling tech products then it should go without saying that you provide support in the case that the product fails. You will have experienced this type of service yourself as a customer of Apple/Samsung or any other major tech business. It helps customers to see that they are still valued despite completing the sales process. Also, if your customers believe they are truly cared about they will advocate on your behalf without the need for a webinar as mentioned above. Customer support differs from technical support because as the name suggests, it is focused on the customer. Where technical support focuses on the hardware, customer support focuses on helping the customer learn how to effectively use your product or service according to their business needs. Here, you can offer your customers a webinar that explicitly (because your previous webinars likely weren't as expansive) informs customers of how to use, perhaps, more advanced aspects of your service/product. Social Media is another tool that comes under the customer support banner. Having a dedicated team who deal with customer questions and issues on popular social networks helps to sustain your relationship with your current customers whilst attracting new ones. The overriding point that should be noted here is that your future sales are linked to the relationship you have with your current customers. They go hand in hand and should never be treated as standalone elements of your sales process. There are plenty more methods and techniques to be explored but in this article we have covered all the basic and simple things. Like Steve Jobs said "What we wanna do is make a leapfrog product that is way smarter than any mobile device has ever been, and super-easy to use." Well, what we wanted to do here was simplify the processes that yield exponential returns and give you the chance to really build something that is truly prospect/buyer-centric.